The interviews that are about to follow consist of three questions. They relate directly to the holy trinity of That F’ing Monkey; Comics, Games, Booze. The questions were the same for everyone. Comics: “What do you have coming out?” Games: “Are you a gamer, if so what are you currently playing?” Booze: “You walk into a bar, what do you order?” Also, none of the responses are direct quotes. I’m definitely learning here, next time I’ll bring some kind of recorder so I can give you verbatims. 1. Comics: Flashpoint! I know this was my point to demand Wally West news, but I behaved. 2. Games: Not even a little, no time for it. 3. Booze: Depends on the time of day; bloody Marys in the morning, beer in the afternoon, and vodka martinis at night. It’s like the Sphinx riddle made awesome! Craig Rousseau's sign says he'll be back in 5 minutes. 1. 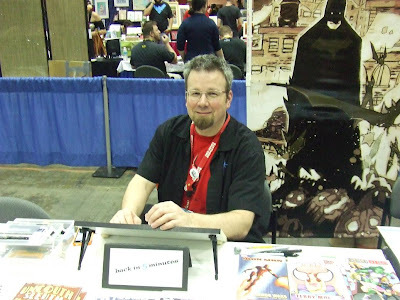 Comics: Brutal, 50 Girls 50, an unannounced script from Marvel, and restarting Liberty Meadows! Yup, Frank has the rights back so break out the midget circus bears! 2. Games: Not a video game player, although he had recently played scrabble. We probably should have introduced him to Words with Friends. 3. Booze: None. In what is one of the most interesting stories I heard all weekend I learned that Frank is allergic to alcohol. Apparently he knew alcohol had a strong affect on him, but after having like three drinks one night he realized how bad it really was. So it is Sprite from now on. 1. Comics: Wolverine Jubilee is just wrapping up. There is another Marvel project that hasn’t been announced yet. 2. Games: Even with 2 Xboxes and a PS3 Phil doesn’t have the time to game. He also has a copy of Bioshock signed by the Development team. 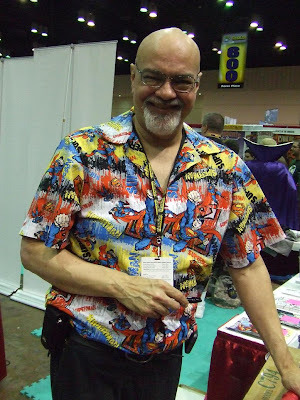 Can't have a Megacon picture without George Perez! 1. Comics: Did you know Geoff can’t comment on DC stuff without their approval anymore? So that might have been my first faux pas as an interviewer. We’ll just say Flashpoint. 3. Booze: Despite rumors about some kind of drunken shuffleboard game Saturday night, Geoff went with the very safe answer of water. And that is it for the interviews. 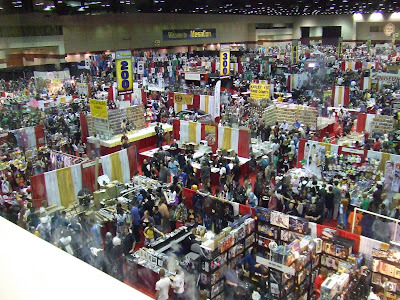 These weren’t the only people I talked to, but I wanted to save some of it for other conventions. 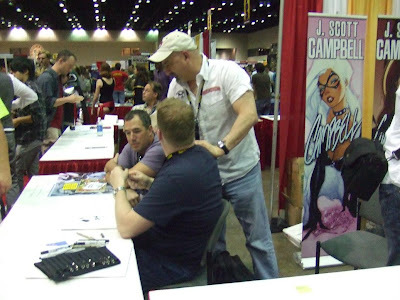 I can’t say anything about the Gail Simone and Ethan Van Sciver mini, but you better believe we’ll talk about it once we are able to. 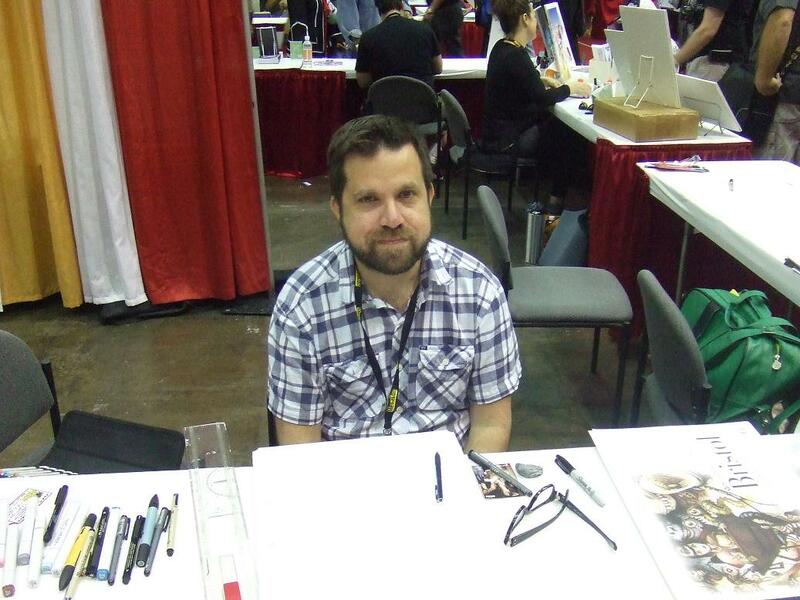 I wanted to again thank people like Ethan Van Sciver, Jimmy Palmiotti, Phil Noto, Joel Carroll, Tim Townsend, and Mike Maihack; you all made the con incredibly enjoyable. 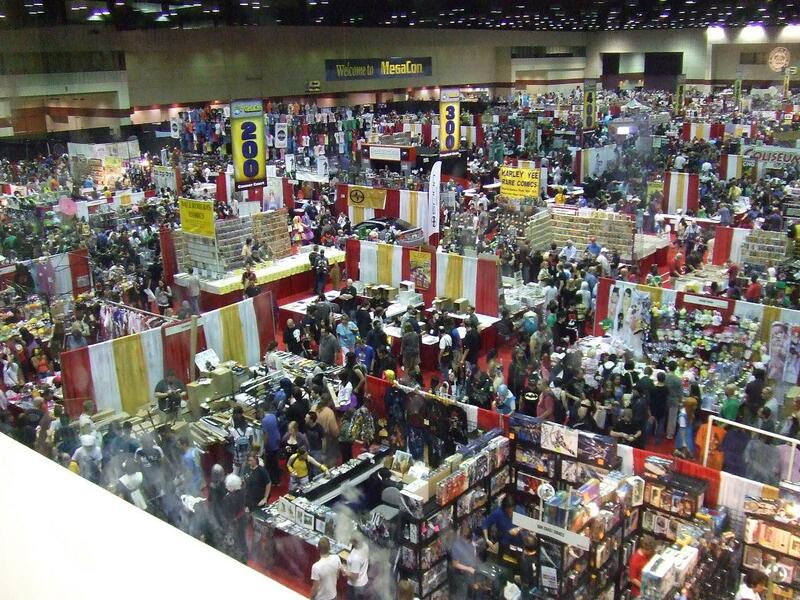 Come back tomorrow for Hangover Thursday to see something even more booze and Megacon related.